March 22, 2019 By Carlos C.
Perhaps the fact that I’m a father has something to do with it, but I felt particularly gripped by Prisoners, a thriller that essentially asks the question: How far would you go for your children? 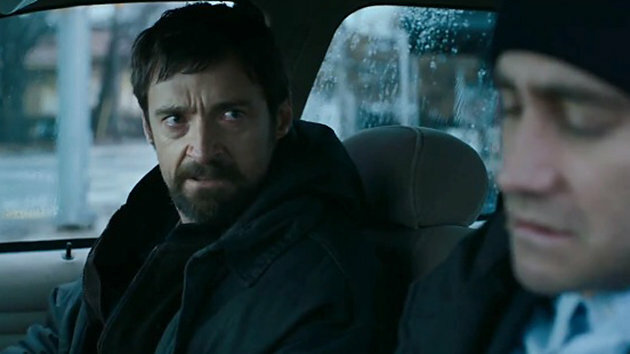 In the case of Keller Dover (Hugh Jackman), very, very far. After his young daughter and her best friend are kidnapped on Thanksgiving, Keller becomes convinced that a mentally challenged neighbor (Paul Dano) is the culprit, even when the detective assigned to the case (Jake Gyllenhal, miscast) cites insufficient evidence. Keller pretty much goes bonkers, abducts the suspect, and tortures him – gruesomely – to find the location of the girls. You can already tell this is not a feel-good movie. Keller (Hugh Jackman) wants some answers. Prisoners is gloomy in a way that reminded me a bit of Se7en (1995), but lacking that film’s lasting power. The first half raises a tantalizing moral quandary but then loses sight of it by becoming a more standard detective thriller. I wish writer Aaron Guzikowski and director Denis Villeneuve had concentrated more on developing the philosophical questions they ask, and the repercussions – emotional and otherwise – of Keller’s actions (he also persuades the other girl’s parents, played by Viola Davis and Terrence Howard, to be complicit in the crime). But the film is just too scared to go there, and the resolution, while exciting, is fairly conventional. Still, got to give props to Villeneuve and his grasp on suspense. Prisoners crawls under your skin.